I haven’t listened to the solo output of the Albert Camus of Indie Pop for a very long time now. This was probably my favourite Mozza solo album, he could have gone on and made a Vauxhall and I volume 2, but he was brave enough to change direction. It still sounds amazing and has a coherence as an album, which I find lacking in a lot of his solo stuff, that is enough serious music journo talk. I am currently blasting Do Your Best and Don’t Worry while waiting for my flight home from Dublin. Who would have thought it, Morrissey makes Dublin airport seem wonderful. 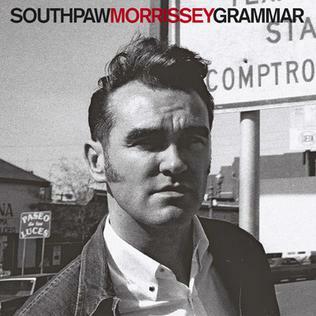 Micro review; Morrissey goes Prog-rock, well sort of. An aside; I felt very sad, and a tad confused, when I learned that Morrissey was under house arrest in Egypt.